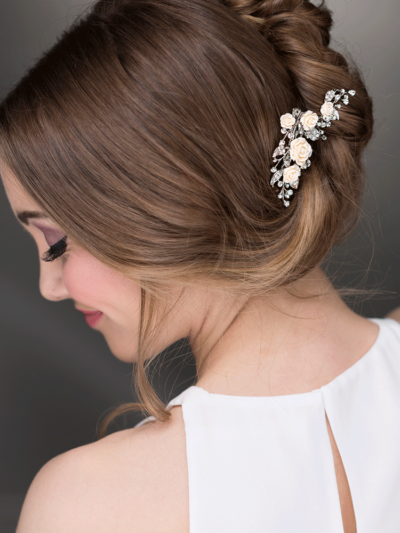 When it comes to your bridal and bridesmaid’s wedding attire, we understand that the tiniest details matter. 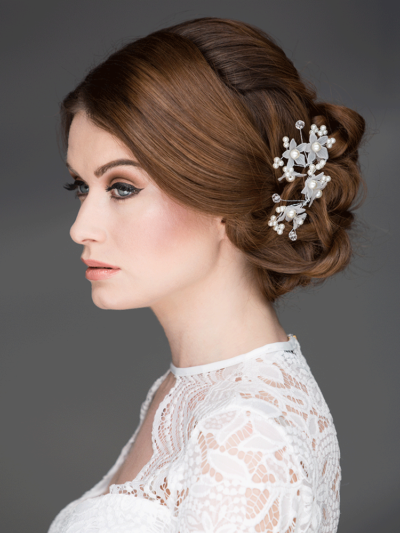 Frustrated at the lack of gorgeous bridal hair accessories, we set about creating our own unique collection of beautiful wedding headpieces and hair accessories. 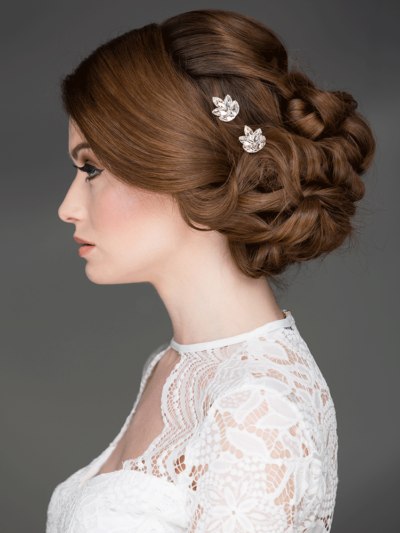 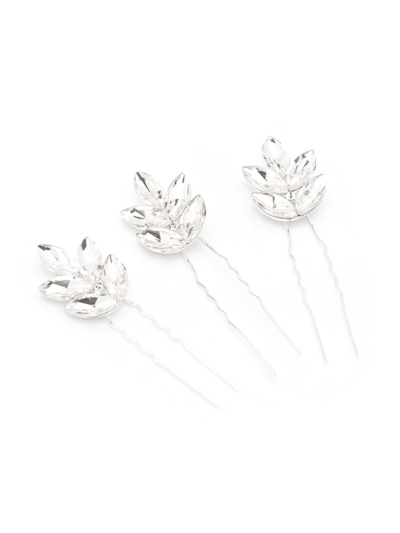 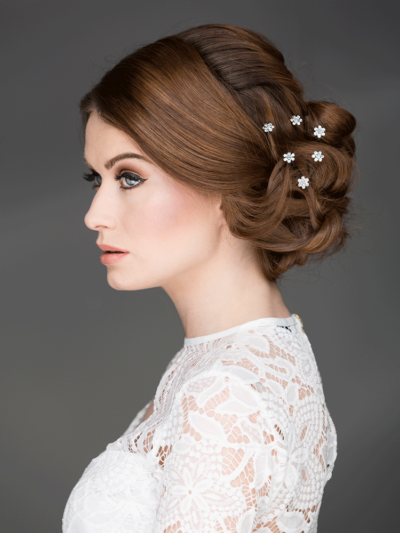 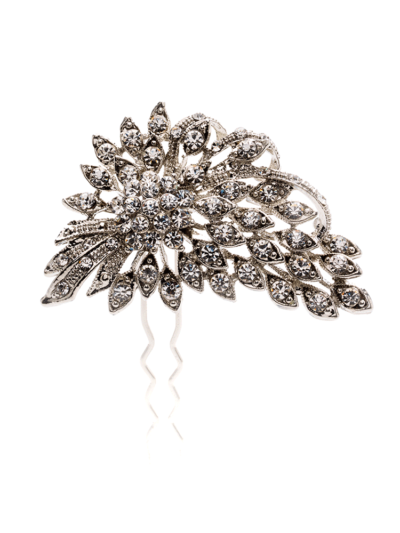 One of the largest collections online, and an award-winning collection to boot, we offer every element of bridal hair adornment, right down to the prettiest wedding hairclips and hairpins. 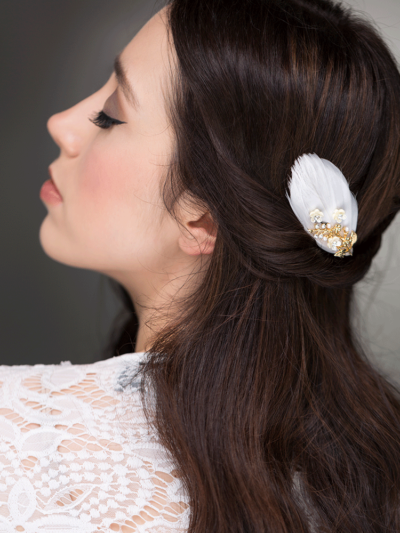 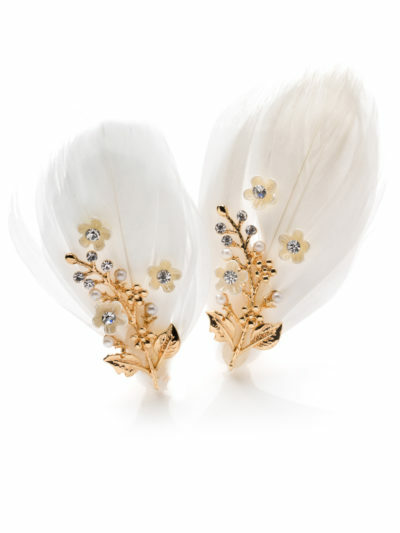 Our elegant hairclips will add a gorgeous flourish to any wedding hairstyle, up or down, long or short. 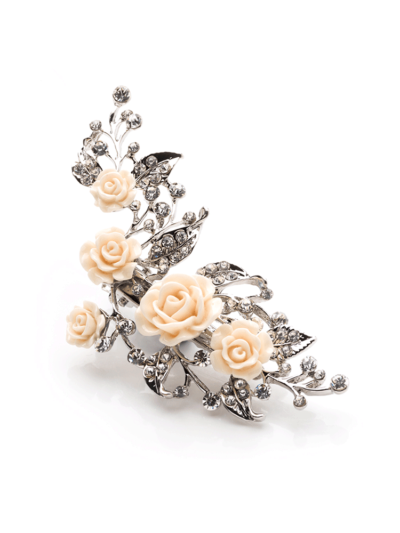 We have a wide selection of hairclip styles to choose from, including sparkling hairclips with delicate cream roses set against miniature crystals, dainty feather hairclips with rose gold detailing, and simple pearl and crystal butterfly hairclips. 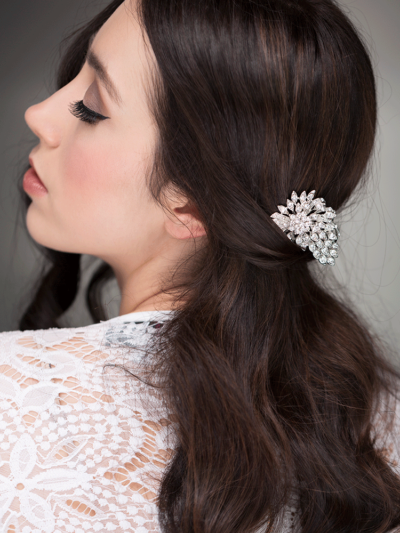 Easy to style and comfortable to wear, our hairclips are ideal for every member of the bridal party, from the bride to the fidgetiest of flower girls! 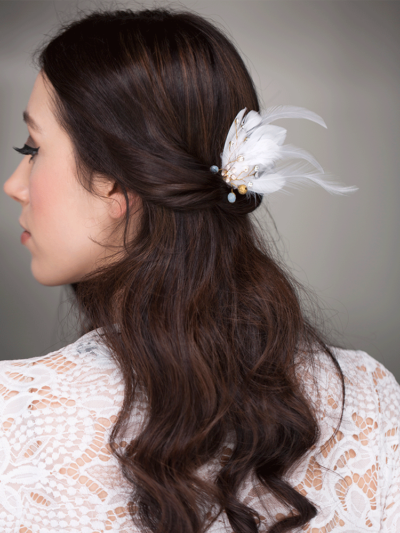 Brown, boring hairpins have no place at a beautiful wedding. 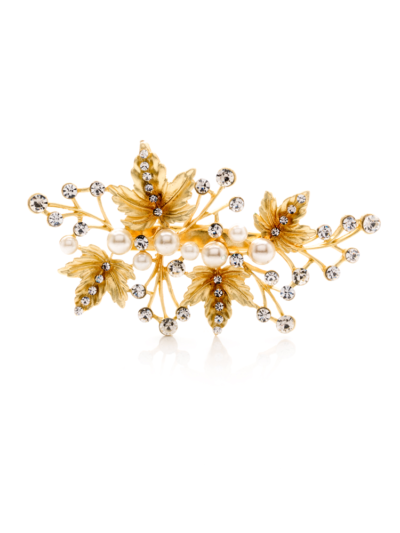 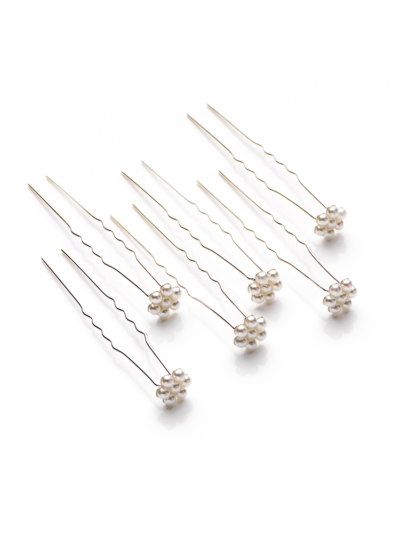 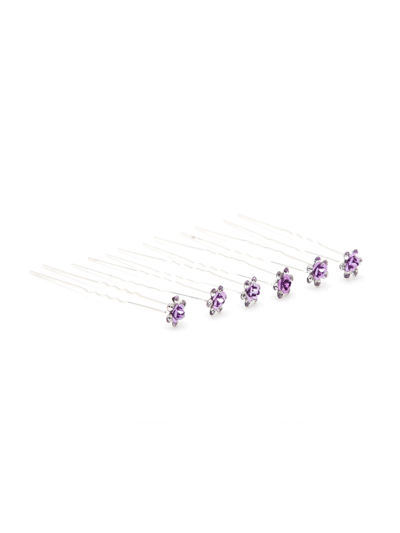 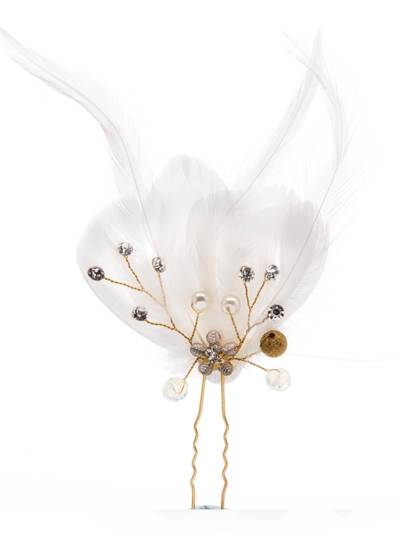 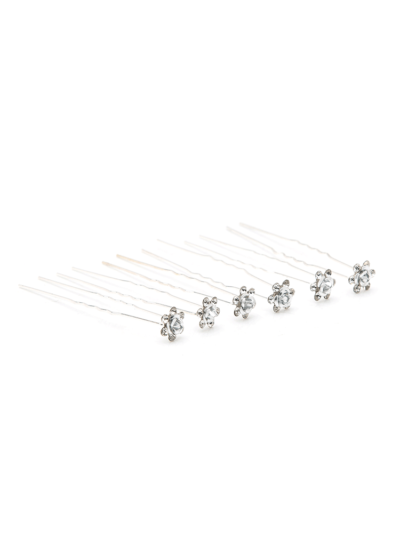 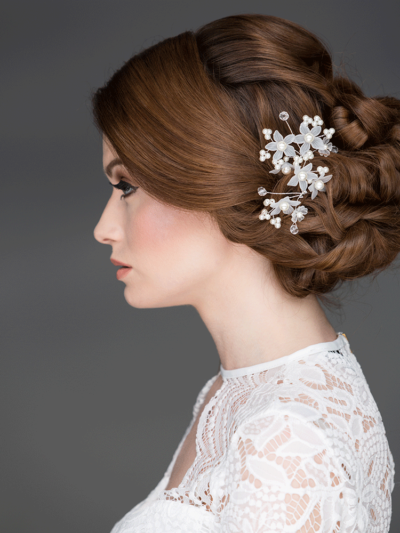 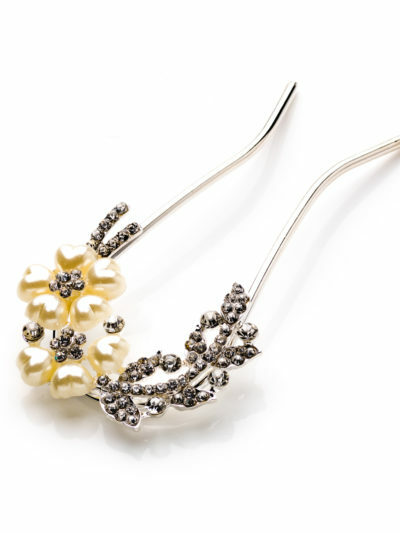 From vintage pearl and crystal hairpins and hair sticks – the ultimate finishing touch for bridal top knots, buns and chignons – to single pearl hairpins for securing veils and unruly hair strands in place, you’ll find every style of hairpin to suit. 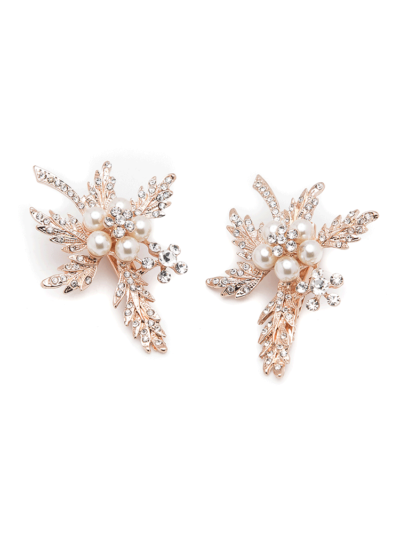 For destination brides, you’ll love our beach bridal hair accessories, including starfish hairpins encrusted with crystals. 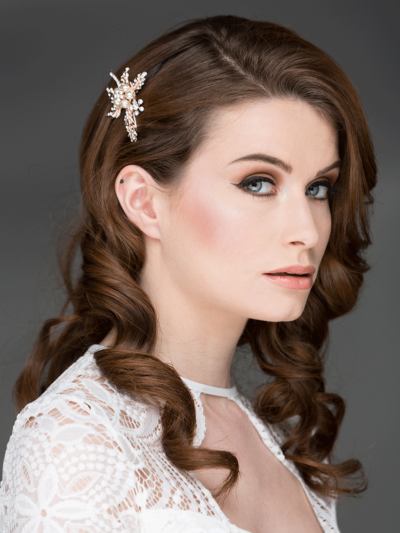 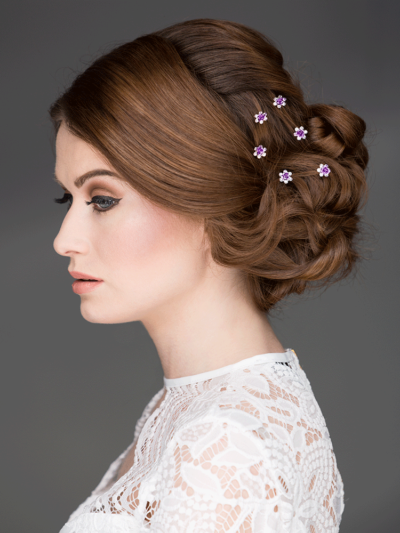 If you’re looking for a special hairclip or hairpin for your day or would like expert styling advice about the best way to wear your hair accessory, please get in touch here.